If you love a good mystery, then be sure to tune into MPT Saturday, October 28th at 9:40pm for the first of two Masterpiece Mystery episodes of Poirot, starring David Suchet as Agatha Christie's Belgian detective. Suchet, who played the mustachioed sleuth for 25 years, is the only actor ever to appear in each and every Poirot story ever written. They include 70 episodes for television, and a stage production of Black Coffee, which was the only Hercule Poirot story turned into a play. Given his credentials, I'm curious to know what Suchet thinks of the new Murder on the Orient Express film, coming out in November, which stars Kenneth Branagh as Poirot. 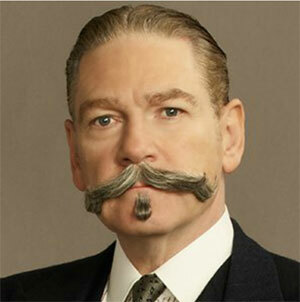 I'm sure Branagh, who also directed the film, is a wonderful Poirot, but his moustache might take a little getting used to. Looking at previews of the film it seems to dwarf the one worn by Suchet. There's a good reason for that though. According to Branagh – a character in one of the Poirot stories mentions that Poirot has "the most magnificent moustache in England." Branagh reportedly decided that if that was the case, then the diminutive detective needed a moustache "where sometimes you feel the moustache enters the room before he does." As Branagh told the Daily Mail, "it's so big he can hide behind it — he is a man who values his isolation and is something of an outsider, and the moustache expresses those elements." 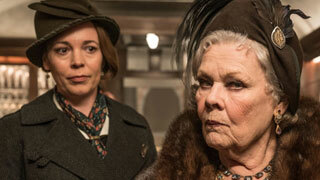 The cast of Branagh's Murder on the Orient Express features a host of familiar faces, including Derek Jacobi, Olivia Coleman, Michelle Pfeiffer, Johnny Depp, and Afternoon Tea's very own Judi Dench. 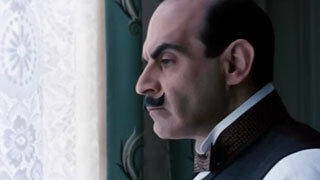 With Branagh stepping into Poirot's shiny spats, it's freed Suchet up to take on other projects. 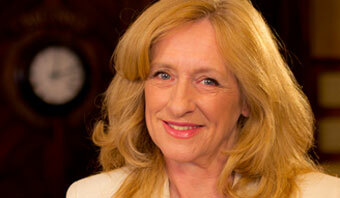 One of which is a six-part series called Press, about the newspaper industry. In it, Suchet plays the chairman and CEO of Worldwide News. The series also stars Al Weaver, who played Leonard, the church curate in Grantchester, as an investigative journalist. Filming recently began on the series and it's expected to air in the UK in 2018 after which it will be seen this side of the pond on PBS's Masterpiece.